On March 8, 2019, President Trump signed into law S. 483, the “Pesticide Registration Improvement Extension Act of 2018” (PRIA 4). The measure, which provides a long-term reauthorization of PRIA, was introduced in the Senate on February 13, 2019 as a stand-alone bill and was adopted in that chamber by voice vote on February 14th. As introduced, S. 483 referenced H.R. 1029, the Pesticide Registration Enhancement Act, as amended by the Senate on June 28, 2018 during the last Congress. On February 25, 2019, under unanimous consent, the House approved the “long form” of the measure containing the full text rather than just a reference to the June 2018 Senate passed bill. In a parliamentary procedure that did not affect the substance or intent of the legislation, the Senate subsequently took up the House passed measure and approved it by voice vote on February 28th. S. 483 was then sent to the White House for the President’s signature. PRIA 4 authorizes EPA to collect registration service and maintenance fees through 2023, establishes firm timelines for the review of pesticide and inert ingredient submissions, and makes several technical changes to PRIA 3. 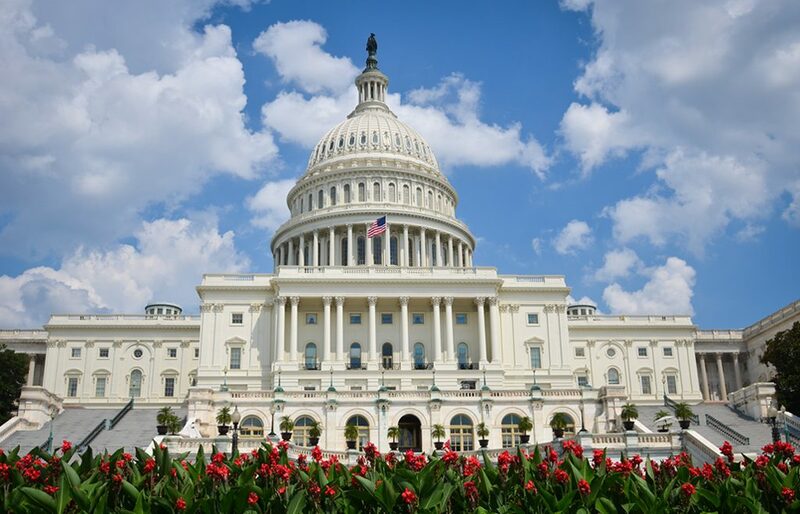 CPDA has long been a proponent of PRIA and is pleased that legislation providing for a long-term reauthorization of the statute has now been enacted into law. A summary of the key provisions contained in PRIA 4 and a comparison with previous versions of the statute was prepared by DC Legislative & Regulatory Services on behalf of the PRIA Industry Coalition of which CPDA is a member. This document may be accessed by clicking here. 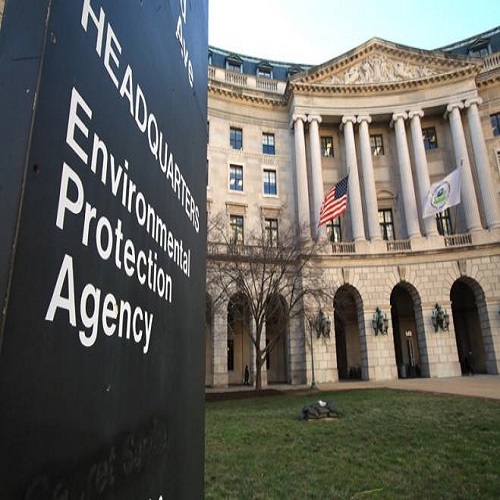 CPDA continues to work as a member of the PRIA Industry Coalition in providing input to EPA as the Agency proceeds with its plans to implement the newly enacted PRIA 4. On the evening of Monday, February 25th, the House passed a long-term PRIA reauthorization bill (PRIA 4) under unanimous consent. Previously, on February 14, 2019, the Senate passed by voice vote S. 483, a stand-alone bill introduced on February 13th to reauthorize PRIA. S. 483 does not contain the full legislative text adopted by the House on February 25th but instead references H.R. 1029, the Pesticide Registration Enhancement Act, as amended by the Senate on June 28, 2018 during the last Congress. The Senate is expected to approve the legislation recently adopted by the House which contains the full text rather than just a reference to the June 2018 Senate passed bill. This is described as a parliamentary procedure that does not affect the substance or intent of the PRIA reauthorizing legislation passed by both chambers of Congress. PRIA 4 authorizes EPA to collect registration service and maintenance fees through 2023, establishes firm timelines for the review of pesticide and inert ingredient submissions, and makes several technical changes to PRIA 3. CPDA has long been a proponent of PRIA and is pleased that legislation providing for a long-term reauthorization of the statute has now passed both the House and Senate and is near enactment into law. On Monday, December 10th, House and Senate Agriculture Committee Chairmen Mike Conaway (R-TX) and Pat Roberts (R-KS) and Ranking Members Collin Peterson (D-MN) and Debbie Stabenow (D-MI) filed the conference report to accompany H.R. 2, the “Agriculture Improvement Act of 2018,” also known as the Farm Bill. The long-awaited measure was passed by the Senate on December 11th by a vote of 87 to 13 and was then sent to the House where it was adopted on December 12th by a vote of 369 to 47. The President is expected to sign the measure into law this week. Two add on bills strongly supported by CPDA and its allied industry partners unfortunately were not included in the final Farm Bill conference report – namely, language that would establish a long-term reauthorization of PRIA and provisions that would eliminate the duplicative National Pollutant Discharge Elimination System (NPDES) permitting requirement for FIFRA registered pesticides. The conference report does, however, include several pesticide related provisions of interest as briefly described below. Among these is a provision that directs the USDA Secretary, acting through the Director of the USDA Office of Pest Management Policy, to conduct a multiple crop and pesticide use survey of farmers to collect data for risk assessment modeling and mitigation for an active ingredient. The conference report also calls for the establishment of a FIFRA Interagency Working Group to provide recommendations and develop a strategy for improving the pesticide consultation process under Section 7 of the Endangered Species Act (ESA). This working group will consist of representatives from the Department of Agriculture, the Department of Commerce, the Department of the Interior, the Council on Environmental Quality, and the Environmental Protection Agency. The working group will be required to periodically report to the House and Senate Agriculture Committees on its progress in developing and implementing its recommendations for improving the ESA Section 7 consultation process. In its other provisions, the conference report includes language on plant biostimulants requiring the USDA Secretary, in consultation with the Administrator of the EPA, States, and relevant stakeholders, to provide a report to Congress that identifies “any potential regulatory, non-regulatory, and legislative recommendations, including the appropriateness of any definitions for plant biostimulants.” The conference report defines “plant biostimulant” as a substance or micro-organism that, when applied to seeds, plants, or the rhizosphere, stimulates natural processes to enhance or benefit nutrient uptake, nutrient efficiency, tolerance to abiotic stress, or crop quality and yield. The conference report language allows the Secretary to modify the description of plant biostimulant, as appropriate. The conference report managers cite the importance of plant biostimulants as “an emerging technology for production agriculture” and state that the report will “facilitate the regulatory framework for plant biostimulant products and ensure the efficient and appropriate review, approval, uniform national labeling, and availability of these products to agricultural producers.” The Farm Bill conference report may be accessed by clicking here. In a significant win for CPDA, the Washington State Department of Agriculture (WSDA) has issued a memorandum, dated December 11, 2018, in which the Department addresses the concerns of the Council regarding WSDA’s proposed plan requiring spray adjuvant registrants to use a more specific chemical name in the Principal Functioning Agents (PFA) section of their product label. The proposal, part of the WSDA Spray Adjuvant Labeling Consistency, Clarity and Compliance guidance issued in March 2017, mandated that the names of the three principal functioning agents on the label and the CSF must be associated with the specific Chemical Abstracts Service (CAS) number for the ingredient. In response to concerns voiced by CPDA and work group members that the proposed synonym names as well as the resulting label requirements would result in the disclosure of confidential business information (CBI) for products registered by WSDA, the Department has agreed to delay the implementation of the “specific chemical name” portion of the March 2017 guidance until family/group chemical names for PFA’s can be evaluated and added to the list of synonyms. As such, spray adjuvant registrants will be allowed to continue to use the chemical class descriptor in the ingredient statement appearing on the label instead of the chemical name. The memorandum, authored by Kelle Davis, WSDA Program Manager for Registration and Licensing Services, states that registrants who were directed prior to December 11, 2018 to make label revisions to amend their PFA statement in response to the March 2017 guidance on Spray Adjuvant Ingredient Statements, may either delay the revision until further notice or submit their updated label if they choose to do so. Label revisions requested by WSDA for any other reason still need to be completed. The memo sets forth revised criteria for listing principal functioning agents on spray adjuvant labels. The WSDA memo represents the culmination of a series of meetings CPDA has conducted with Department staff since the summer of 2018. CPDA and work group representatives objected that the WSDA naming proposal for principal functioning agents would force the disclosure of CBI for products registered by the Department and could result in some companies choosing to drop their product registrations. In its engagement with WSDA, CPDA collaborated with its allied industry partners, including Heather Hansen, Executive Director, Friends of the Fields and Forest and Far West Agribusiness Association, in persuading the Department to delay implementation of the naming proposal. CPDA appreciates the willingness of WSDA staff to consider the concerns of spray adjuvant registrants relating to how the proposal could force the disclosure of CBI. CPDA and registrant stakeholders will be working with WSDA to evaluate the family/group names to make sure they meet WSDA’s requirements while allowing registrants more flexibility in their PFA chemical names. A copy of the WSDA memo may be accessed by clicking here. For more information, please contact CPDA Interim President Gary Halvorson at ghalvorson@cpda.com. For additional background on this issue, read more here. On December 17, 2018 CPDA-Canada submitted comments in response to the Pest Management Regulatory Agency (PMRA) updated consultation that proposes additional changes to the Agreement for Data Protection under Section 66 of the Pest Control Products Act (PCPA), commonly referred to as the Ministerial Agreement for Data Protection. The Ministerial Agreement sets forth the procedures and requirements that must be followed when a generic pesticide registration applicant wishes to rely on a registrant’s compensable data to register a generic pesticide. The updated PMRA consultation document contains draft changes to the Ministerial Agreement for Data Protection based on the public comment the Agency received in response to its original consultation published on December 30, 2016. As reported previously, on February 24, 2017, CPDA-Canada submitted comments to PMRA on its prior consultation expressing disappointment that the Agency’s proposed mechanism failed to equitably balance the interests of companies that develop new pesticides (‘innovator’ companies) with the interests of companies that produce generic pesticides (‘generic’ companies). In its latest submission to PMRA, CPDA-Canada reiterated its concerns set forth in its previous comments but also acknowledged and commended the Agency for several small improvements contained in the revised consultation. Among these, CPDA-Canada thanked PMRA for the addition of language aimed at deterring poor conduct in negotiations over data compensation through the proposed imposition of consequences that could be placed on parties acting in bad faith. CPDA-Canada also expressed its support for provisions that would establish a definitive timeframe by which an applicant would be required to provide all parties with notice of intent to initiate arbitration once negotiations fail. In addition, CPDA-Canada cited new provisions that would allow an applicant to opt out of arbitration proceedings at any time. Previously, if an applicant was uncomfortable with the final offer made by the registrant, they would not pursue arbitration because there was no opt-out mechanism and the arbitration tribunal’s award decision would be binding. Despite these improvements, CPDA-Canada pointed out that deficiencies in the data compensation negotiation and arbitration scheme, as set forth in the updated consultation document, have not been satisfactorily addressed by PMRA. For example, the proposed revisions would give the Arbitral Tribunal the power to assign fees, such as legal fees, incurred by one party during arbitration to the other party. CPDA-Canada explained that parties to an arbitration typically agree that company specific costs are the responsibility of that company and not the other company. CPDA-Canada also objected to a provision in the revised consultation that would give the Arbitral Tribunal the unilateral ability to extend the arbitration process which would add more time and expense to the proceedings. CPDA-Canada maintained that any extension should be agreed to in writing by both parties to the arbitration and should be limited to no more than 30 days. In its other comments, CPDA-Canada called upon PMRA to retain the “cost sharing” provisions that appeared in its original consultation document. That language specified that compensation should be based on the equitable sharing of costs between a data owner and follow-on applicant. Where data compensation for the same data has already been paid by another generic previously, an award in a subsequent process could be based on the determined cost of data divided by the number of applicable parties (i.e., the data owner, the generic company that paid compensation in the first process, and the applicant in the subsequent process). CPDA-Canada will continue to engage with PMRA on the inequities in the current Canadian data compensation mechanism, the process for the registration of tank-mix adjuvants, and the barriers to entrance of member company products into the Canadian market. To access a full copy of the recent comments submitted by CPDA-Canada to PMRA, please click here.